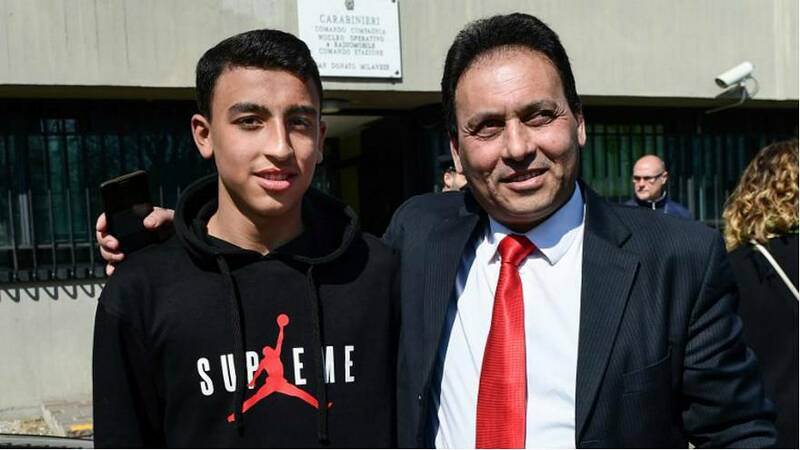 Two teenage boys who raised the alarm after their school bus was hijacked and later set on fire in Milan are to be granted Italian citizenship, according to authorities. Thirteen-year-old, Ramy Shehata has Egyptian nationality and 12-year-old Adam El Hamami is Moroccan. The two are credited with saving the lives of 51 students and their school chaperones on board the bus. ANSA news agency quoted Italian Interior Minister Matteo Salvini as referring to Shehata, as his "son," as he confirmed the citizenship. "Yes to citizenship for Ramy because it's as if he were my son and he showed he understood the values of this country," Salvini said. Shehata was hailed a hero by his fellow classmates last week after he hid his mobile phone to contact police after his school bus was hijacked. The hijacking was carried out by 47-year-old Ousseynou Sy, a Senagalese national with Italian citizenship, in protest against Italy's migration policies. Authorities say Sy could have his citizenship revoked. No serious injuries were reported among the passengers on the bus. Ramy's father, Kahlid, told reporters that while his son was born in Italy, he did not have Italian nationality. Ramy Shehata also managed to cause a political storm by asking Matteo Salvini to change Italy's immigration laws, Salvatore Falco of Euronews' Italian Service told Euronews Now. Salvini responded that Shehata would have to wait until he's old enough to be elected to office himself. For now, though, Shehata and El Hamami say their dream is to become carabinieri policemen.